Jennifer picked this beer in an effort to try some of the more “flavorful” beers, she picked a good one! 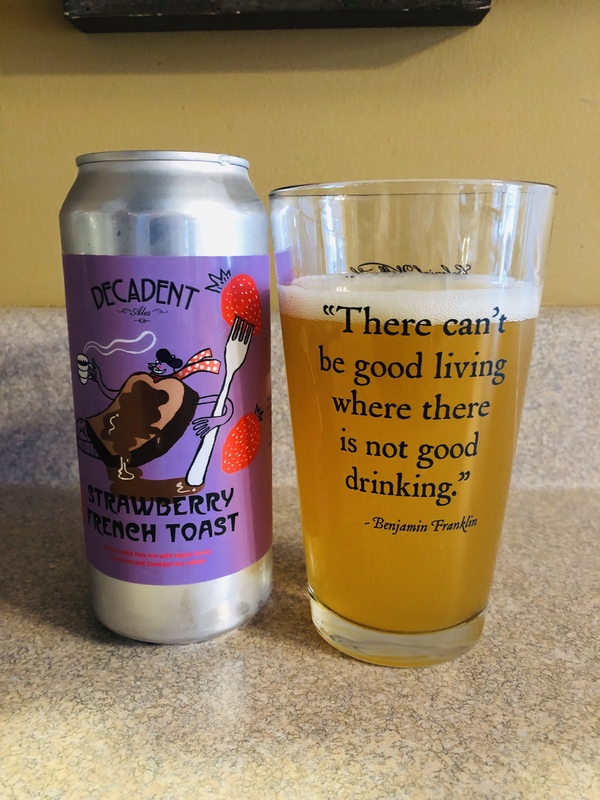 Decadent Ales, brewed by Dorchester Brewing company from Boston, Ma have delivered a very tasty double IPA. It starts with the smell, maple syrup with a hint of fruit, the color is a cloudy dull orange. The taste…light, maple syrup, oj and the compliment of strawberries, not too much but enough. It’s like breakfast in a glass but with an 8.6% alcohol content! Delicious and in my mind…nutritious! Enjoy this breakfast beer. 3 stars.